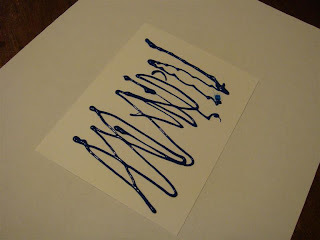 Yesterday I was cruising some blogs and I came across an amazing tutorial (at least to me). 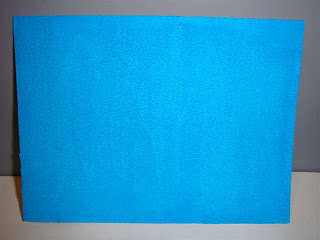 The blog, Out To Impress by Julie Koerber (and, trust me, she does impress), had a great tutorial on using Liquid Applique to make faux suede backgrounds or sheets of paper. Her blog, which you must check out for yourself, is http://outtoimpress.blogspot.com/. 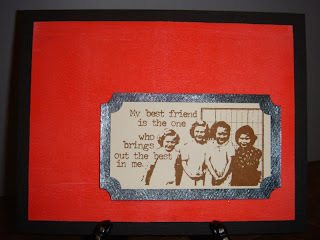 Supplies you will need are a heat gun, card stock, liquid applique, and a brayer. 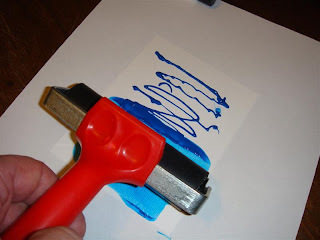 Next, lay your card stock on a piece of scrap paper or craft sheet and squeeze a thick line across the middle or squeeze some all over the card stock as I did. 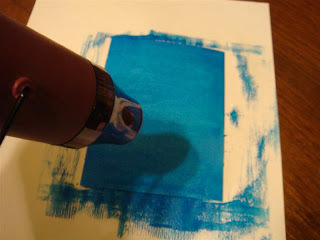 Then, using your brayer, roll the liquid applique across the whole card stock and cover the entire surface. It will not come out perfect and you will have imperfections. I feel this just gives it more of a suede, vintage, or distressed kinda look. Your card should end up looking like this. 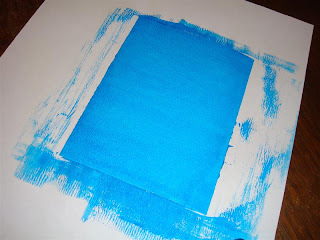 Now use your heat gun to heat the liquid applique until it is set and dry. This will not take long. This is the finished product. I hope the photo shows the texture of the card. It will look and feel like suede. It's really cool. Below are some samples I made. I hope you like this technique, use it, and pass it on to others. I call this my "friendship card". 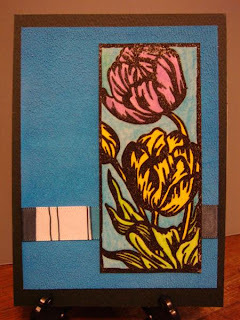 Paper used was the Hopsack Black & Fossil Square Card Overlay Kit from The Papercut (www.thepapercut.com). I love their papers, the different sizes they cut, and the colors. 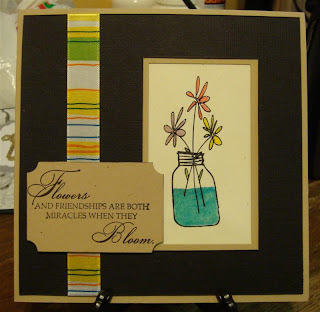 Stamp flower image (G165 - KB's Silphium In A Jar from Endless Creations www.shopec.com). I colored the water and flowers with watercolor pencils, coated with a versamark pen, the heat embossed with clear embossing powder. It really makes the colors pop. 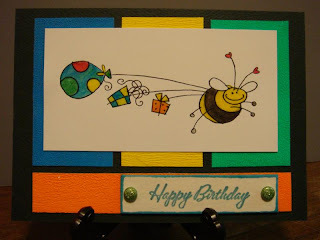 Wrap ribbon (from Michael's) around the black cardstock and adhere to front of card. 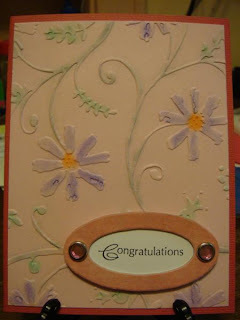 Stamp the phrase stamp (Flowers In Bloom, FS1119-D from Verses Rubber Stamps (www.versesrubberstamps.com). 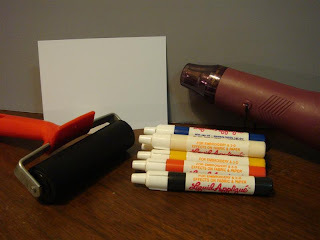 Use corner ticket punch (Stampin Up) and adhere to front of card - over ribbon. 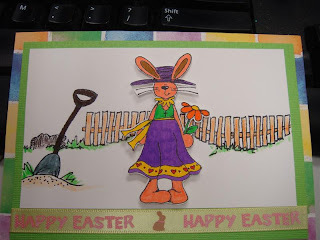 Here is a cute and fast card. Used the Cuttlebug Stylized Flowers A2 embossing folder (www.provocraft.com), colored in with chalks, added the phrase and adhered to cardstock. 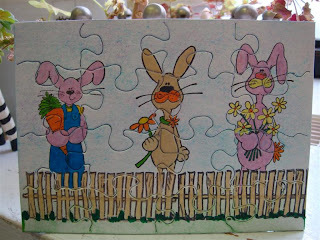 Okay, I know it's after Easter, but I wanted to share some cards and puzzle cards I made for a coworker. 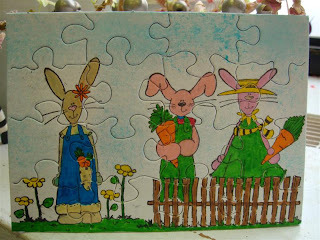 All images are from Sparkle & Sprinkle, www.sparkleandsprinkle.com. 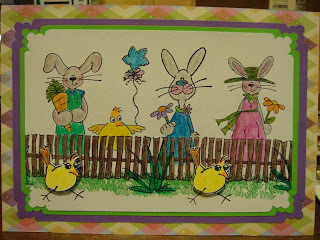 They were so much fun to do - but a lot of masking to get them behind the fence. Well, it's been a long time since I posted anything. Hmmm. As a joke, I sent an underwear ad to my good friend Heidi. Well she told me that my project for the night was to make a card with it. This is what I came up with. LOL. 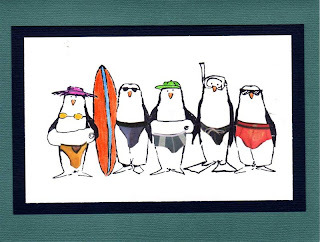 Brasilian penguins in their speedos!! !